But 3D Blu-ray is physical media, can you watch 3D Blu-ray on HTC Vive? It is entirely possible to watch 3D Blu-ray movies on HTC Vive devices. 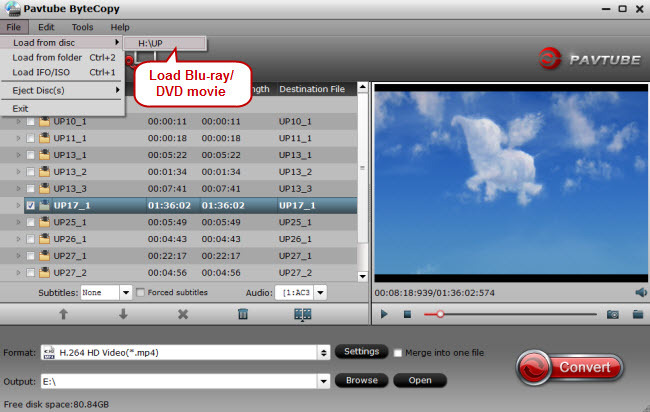 You have to convert your 3D Blu-ray movies into a format that your HTC Vive device can read, either off internal memory or a separate drive. How to Watch 3D Blu-ray Movies on HTC Vive? What you need to keep in mind at all times is the fact that HTC Vive is able to play SBS MP4 videos (which means Side-by-Side MP4 files). Once you have done that, everything else is pretty easy. You connect to the theatre app of HTC Vive and you select the movie you want to watch. 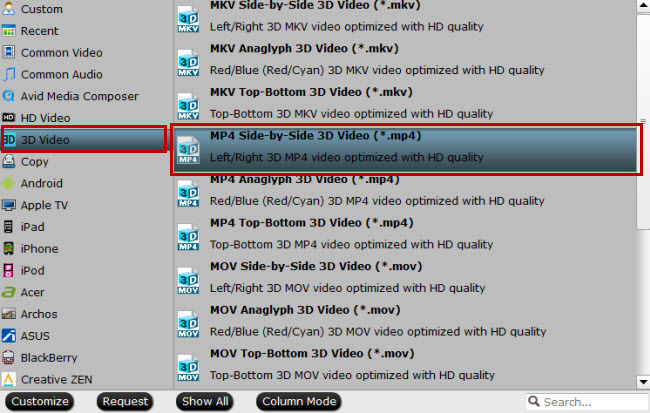 In order to convert the files from 3D Blu-Ray to SBS MP4 files, you can use an app, such as Pavtube ByteCopy. So, how do things work for you, when you wish to enjoy a 3D Blu-ray VR movie with the HTC Vive? You simply need to follow the steps outlined below. You will see that there is nothing tricky or requiring extra technical knowledge here, which is a good thing. 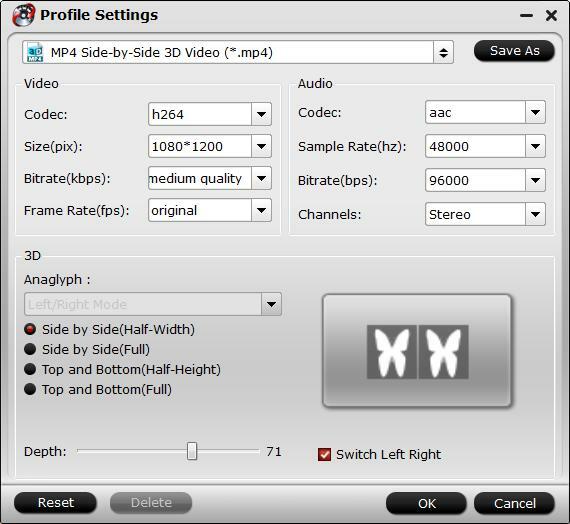 Tip: Click “Settings” to open “Profile Settings” window, here you can adjust the 3D depth, change image display order for 3D SBS movie, you can also make a choice between full sbs/tab and half sbs and tab according to your own needs. After having completed the conversion, your 3D movie is ready to watch. Now, place the file with the movie at the "MyVideos" folder miscroSD of HTC Vive. You are all ready to put on the glasses and enjoy 3D experience at home or anywhere else. What is more, you may upload the videos on your channel on YouTube and share them with the public. As you can see, HTC Vive is a great tool not only for gamers and those who wish to experience battles and missions in a 3D environment. It is also a wonderful asset, so as for you to enjoy 3D Blu-ray Movies like they are supposed to be – including you as a person in the action and offering a marvellous recreation option for everyone! Try it out!